Kratos’ latest adventure releases on April 20. After playing and reviewing the new God of War game, here are 5 things we can tell you before you decide to buy the game. 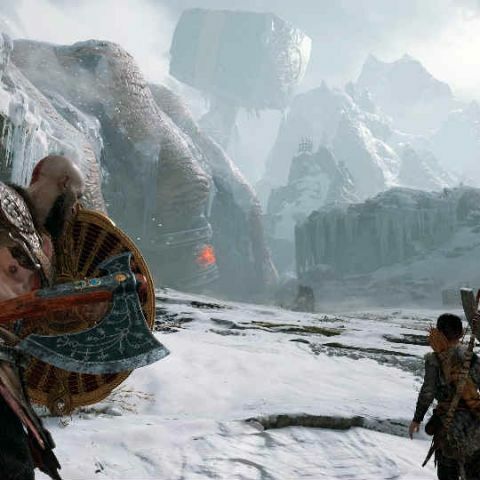 Sony Santa Monica, the masterminds behind the God of War franchise have been hard at work for the past 5 years reimagining Kratos’ adventure and bringing it to the PS4. God of War releases for the PS4 on April 20 for Rs 3,999. The game is 45GB (approx) in size to download from the PlayStation Store. It also has checkerboard 4K support for the PS4 Pro. If you are skeptical about picking up the new game, then you can check out our review here. In this story, we list 5 things you should know about God of War before buying the game. Yes, that’s right. The camera is no longer locked and can be controlled by the player. This brings a whole new perspective to the game enhancing gameplay and combat. You have absolute control over where to look. The camera is also really close behind Kratos giving you an over the shoulder look. This helps immerse you in combat scenarios. No camera cuts have been a large talking point about the game and we’d like to tell you that’s its near perfect. Some trickery has been used to mask loading screen when fast travelling and this is done very well. The only time the camera cuts is when you pause the game to check out the map or when you die. God of War III demo out! In past God of War games, Kratos has been a one-man army. This time around he has a companion on his journey. Atreous, His son who not only aids him in combat but gives him a lot of information about the Norse world. The relationship between Kratos and his son evolves throughout the game.